The Muslim Judicial Council (SA) would like to inform you that its leadership made a courtesy call to the New Zealand High Commissioner to South Africa, Mr Mike Burrell earlier this morning. 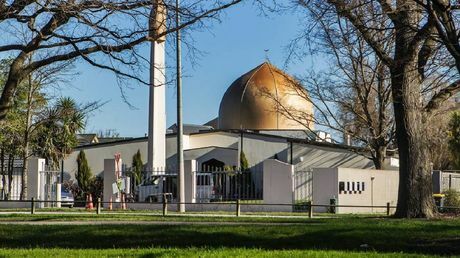 We shared our solidarity and support for the people of New Zealand with him and expressed our heartfelt appreciation for the empathetic and humane manner the Prime Minister of New Zealand, Her Excellency, Ms. Jacinda Ardern and the New Zealand government have been dealing with the terrorist attack and massacre that occurred at two mosques in Christchurch on Friday, 15 March 2019. His Excellency, Mr Mike Burrell was very appreciative of the call made by the MJC leadership during which he informed the leadership that he will be opening a condolence book for the victims of this massacre. The purpose of this is so that South Africans can write their respective condolence messages in it as well as sign the book. This is scheduled to take place from today, Monday, 18 March 2019 until Thursday, 21 March 2019. People can go and visit the New Zealand Consulate in Pretoria between 10:00 -16:00 from today onward. We strongly encourage RSA citizens residing in Pretoria, Gauteng, and surrounding areas to make use of this wonderful opportunity to showcase our humanity as a nation.